The return of the emblematic off-road racing game franchise. Released in 1997 on PlayStation 1, V-Rally revolutionised the genre with 3 game modes and its selection of vehicles and famous tracks. Some years later, on PlayStation 2, V-Rally 3 was immensely successful, adding a career mode with decisive team choices and an even greater number of tracks. Absent since 2003, the epic title is now making its big comeback with more than 50 models of emblematic rallying and extreme motorsports vehicles. Nostalgic players can collect, upgrade, customise, and above all, master them! In the trailer, we can already see 3 iconic cars: a Porsche 911 Safari, a Ford Mustang and a Ford Fiesta RS RX. The goal of this new entry is to remain faithful to the identity of the franchise, which earned the support of millions of fans, and to strike a perfect balance between sensation, presentation, and simulation, while offering the best graphics and gameplay the latest technology can support. 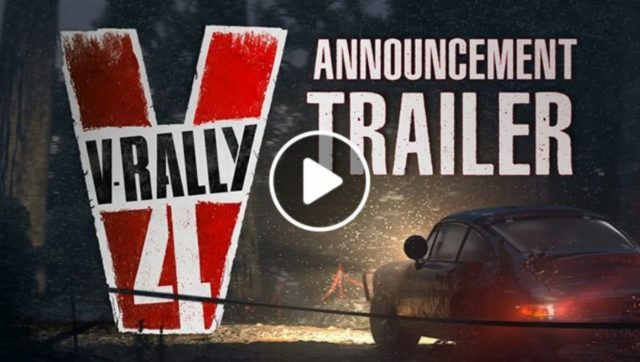 V-Rally Cross: Leave your opponents in the dust on these dirt/asphalt tracks and take on 7 expert adversaries. Let adrenaline boost your reflexes, learn to dominate the road and weather conditions, and take on the most dangerous tracks in spectacular settings.